With summer just around the corner and the heat about to set in, the workplace can either be a place of respite or discomfort. Both employees and customers will likely stay indoors under the comforts of the AC to escape the sweltering heat. But a poorly cooled space can cause productivity levels to drop as workers become more sluggish and groggy in the heat. Commercial spaces like office buildings and retail outlets require a commercial air conditioning systems. These large spaces have different air conditioning needs compared to a smaller residential space. Not only is it a much bigger space but the number of occupants constantly change with customers and employees coming and going, depending on the needs of the business. In addition, the use of technological devices such as computers, televisions and printers and easily contribute to the heat levels in the room. Depending on the size of the space, whether it is an open or enclosed area, and the number of workers in the vicinity, choosing the right air conditioning system is crucial to ensuring a comfortable and productive workspace for employees and customers. For businesses that operate in wide, open spaces like factories or warehouses, an evaporative air conditioning system is a recommended option. Evaporative air conditioning systems are uncomplicated to install and have low running costs in comparison to other air conditioning systems. An evaporative air conditioning works well in open spaces as it thrives on constant air flow and utilises fresh air in its operation. Cool air is easily pumped into the space without This results in an environmentally friendly system that does not emit any greenhouse gases like CO2 into the atmosphere. Moreover its humidifying properties allow for a more comfortable work environment. With large establishments that have multiple levels and are enclosed such as offices and shopping centres, a refrigerated split system is recommended. 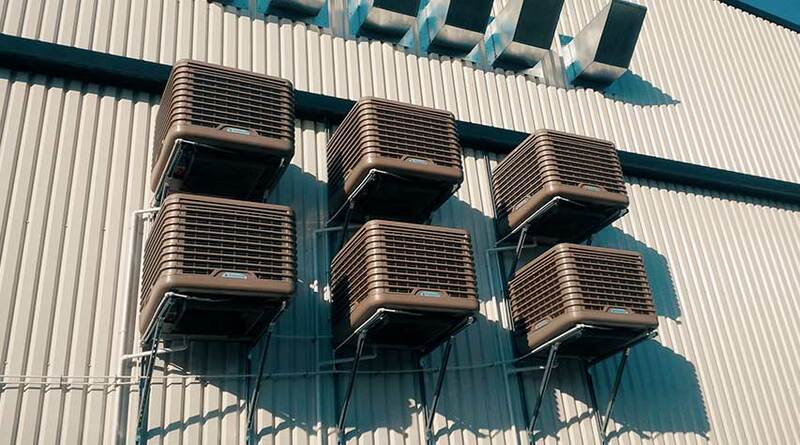 Available in a number of capacities, split system air conditioning are able to suit a large variety of applications across different room sizes. Split system air conditioning systems allow for an outlet to be placed in every room ensuring optimized cooling throughout the building. The indoor units are unobtrusive and discreet, blending in well with the office decor. Ceiling cassettes in particular are very popular for small to medium-sized offices whereas larger spaces may choose to utilise a ducted split system. Business owners who are looking for commercial air conditioning Perth can place their trust in Gas & Air. 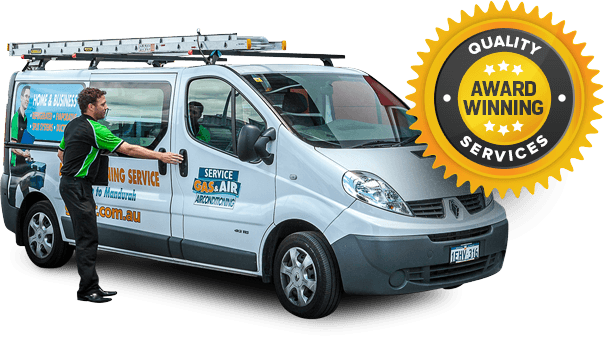 Our team of highly skilled and experienced technicians are able to well-versed in commercial air conditioning systems and will be able to assist you with choosing the right air conditioning solution for your business. Contact us at 1300 369 690 for more information about commercial air conditioning systems for any commercial space. Our team members are ready to address any enquiries you might have and assist you in all your commercial air conditioning needs.